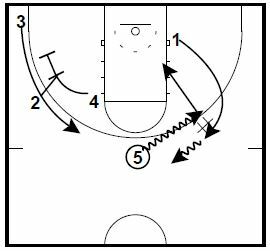 A couple of man to man plays from the Arizona State Sun Devils Playbook assembled by Chris Filios. 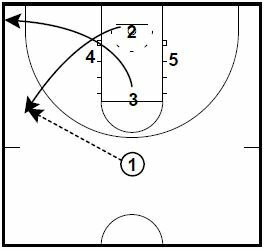 The plays are combined with the 2017 NCAA Tournament Best Man Offense Plays eBook by Matt Bolger as this week’s eBook bundle. 1 swings ball to 4. 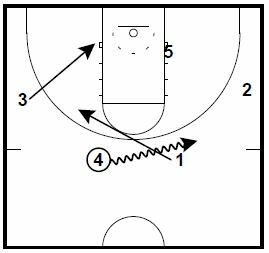 1 blur cuts in front of 4. 4 drives ball off back of 1. 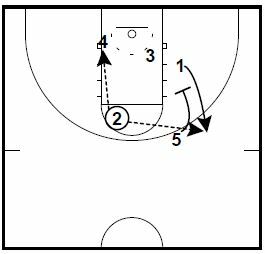 5 ball screens for 2. 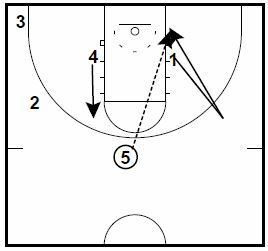 3 and 1 double back screen for 4. 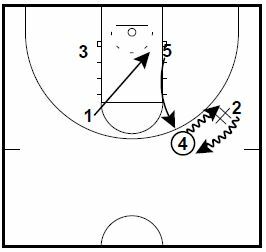 2 can look to 4 on the post or to 1 coming off the pin down. 2 pops to wing. 3 cuts to corner. 1 pins down for 5. 5 pops to top for catch. 4 fills up. 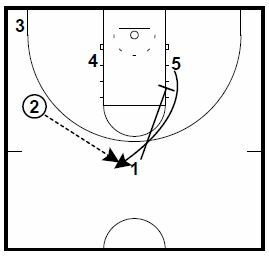 1 pops to wing and back cuts on denial. If 1 is not hit on back cut. 1 pops back out for DHO from 5. 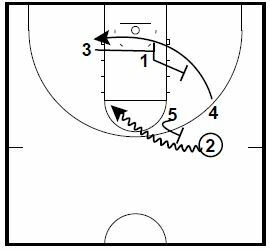 4 and 2 set stagger for 3. 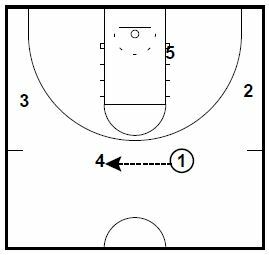 These man to man plays are from the Arizona State Sun Devils Playbook assembled by Chris Filios.